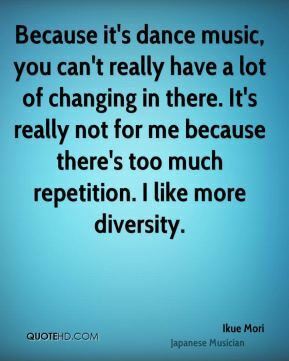 Because it's dance music, you can't really have a lot of changing in there. It's really not for me because there's too much repetition. I like more diversity. 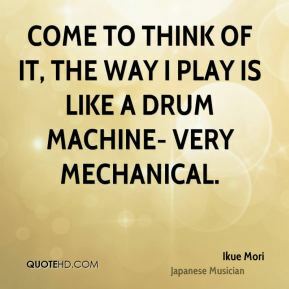 Come to think of it, the way I play is like a drum machine- very mechanical. I still think that I'm playing instruments, not just pushing buttons and there it goes. 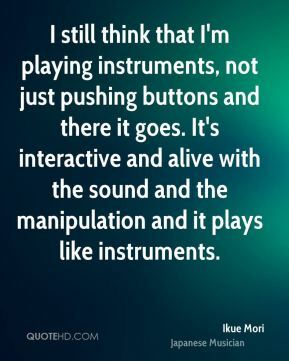 It's interactive and alive with the sound and the manipulation and it plays like instruments. I was playing in other rock bands. 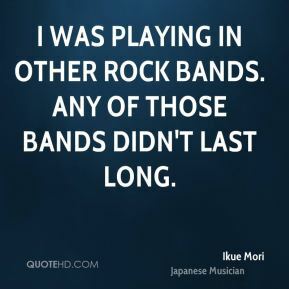 Any of those bands didn't last long. 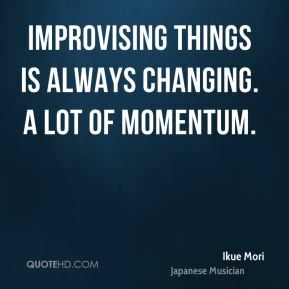 Improvising things is always changing. A lot of momentum. Mars is really different, into art. Lydia Lunch is more energy. 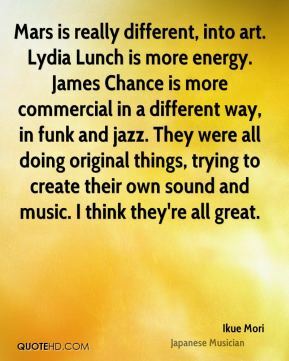 James Chance is more commercial in a different way, in funk and jazz. They were all doing original things, trying to create their own sound and music. I think they're all great. 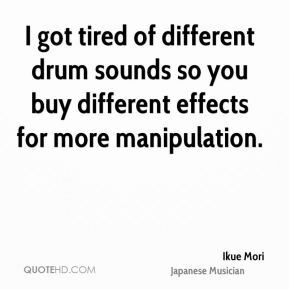 So now I don't have time to practice drums. 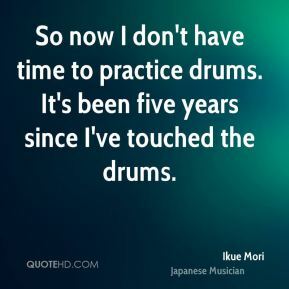 It's been five years since I've touched the drums. Somebody gave me this drum machine and somebody else asked me to program something for a project. 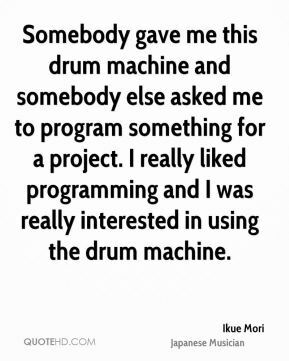 I really liked programming and I was really interested in using the drum machine. 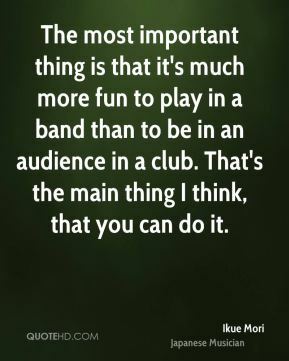 The most important thing is that it's much more fun to play in a band than to be in an audience in a club. That's the main thing I think, that you can do it. 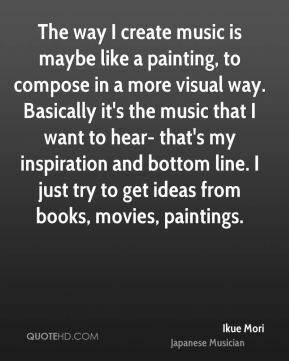 The way I create music is maybe like a painting, to compose in a more visual way. 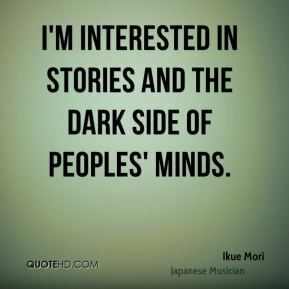 Basically it's the music that I want to hear- that's my inspiration and bottom line. I just try to get ideas from books, movies, paintings.